To be able to view or transfer customers, first go to the Customers menu and then click on 'My Customers'. Remember this menu may not be available for all carts. 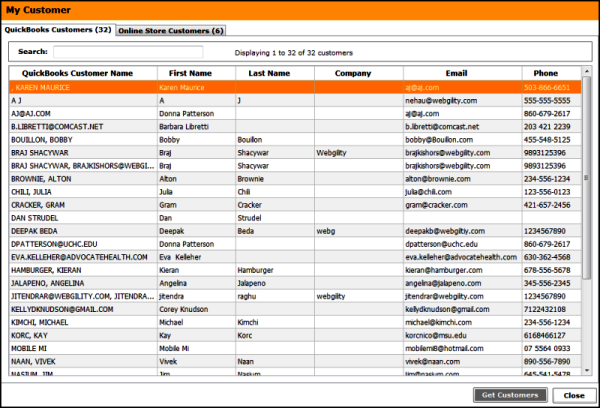 Once you see the Customers screen, click on get customers, so that Unify can build an up-to-date list of customers in QB and those in your online store.